After getting a stamp in our passports and having a drink at the highest pub of Africa, we start driving into this small, land-locked nation which is the highest country on earth (which means, the country with the lowest highest point). The landscape is stunning; grand panoramic views on the 3000m+ Maloti Mountains. Against all expectations, the road suddenly changes: smooth, brand-new asphalt rather than the bumpy, rocky, carved-out gravel path we just started to getting used to. Quite a surreal experience, especially when you realize that Lesotho is among the 20 poorest countries in the world and that this part of the country is sparsely populated. As we drive through the landscape, we do not see much human influence apart from a few remote villages and some nomadic shepherds. Who would construct a road of this quality in such an undeveloped area? Traditonal Basotho shepherd. Source: own work. Our tour guide Elias was not surprised when I asked him why this road was built at this location and his answer was quite clear: ‘Those nasty Chinese!’. Recently, the Chinese discovered cobalt (a relatively rare metal) in the area. 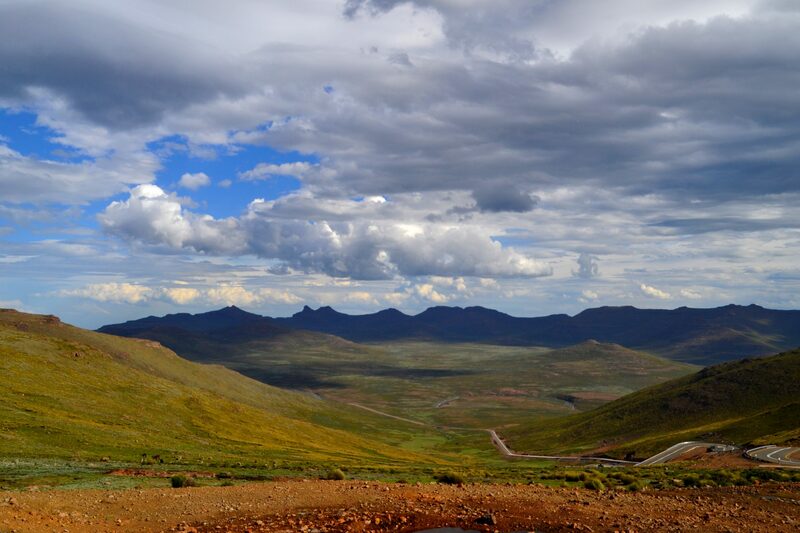 Cobalt has a lot of applications within high-tech industries, and as China aims at further developing its industrial production, the Asian superpower is willing to pay a lot of money to the Lesotho government to extract it. Money that is more than welcome for the poor people of Lesotho. As most of the country’s terrain is unsuitable for agriculture and apart from one single diamond mine, it does not have a lot of natural resources. Most people live autarkic and get by from sheep farming. The mine that is currently developed by the Chinese offers a lot of new jobs in this region, where unemployment rates are sky-high. Sounds like a gift from heaven, doesn’t it? The road the Chinese constructed as seen from a 3200m high mountain pass. Source: own work. 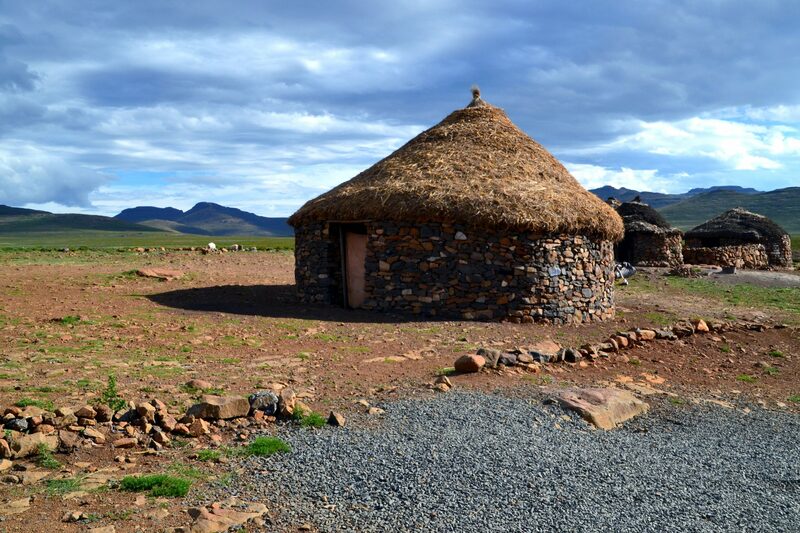 A typical example of a Basotho village. There are hardly any amenities like electricity or running water in these areas, and during winter it gets bitterly cold. Source: own work. The Chinese investments clearly are beneficial for Lesotho from a macro-economic perspective. 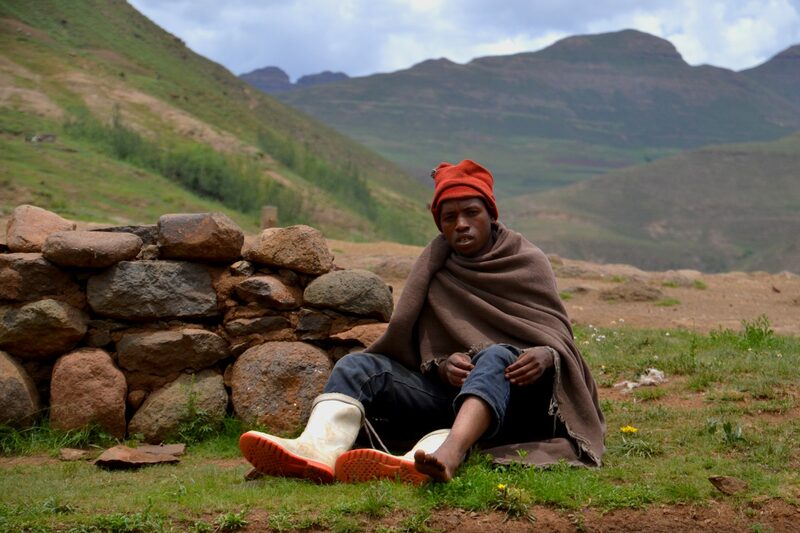 However, not everybody is happy with the Chinese interference in the Maloti Mountains of Lesotho. 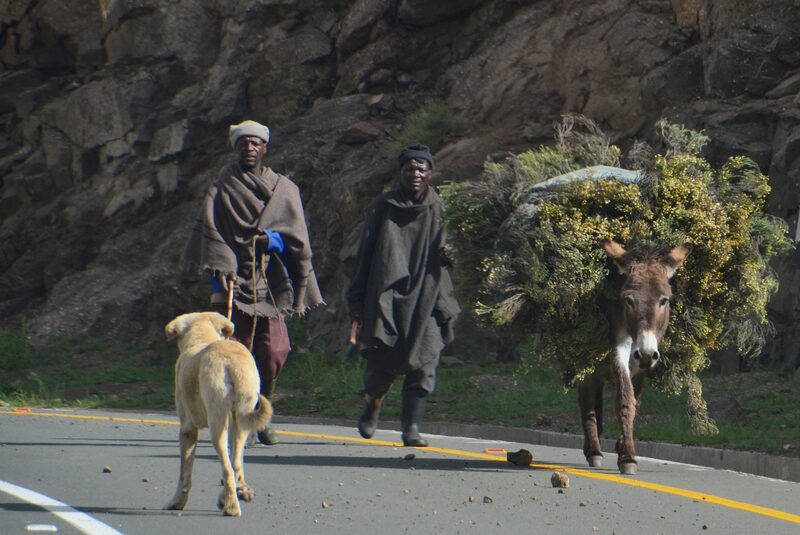 Although the brand-new road they constructed is up to all modern safety standards, the local Basotho communities do not see one single loti from the cobalt extracted in the mountains, and neither do their villages get a proper connection to the road. They can just dream of the electricity supply the Chinese investors create for the temporary construction compounds. Their scarce arable lands, however, often have been confiscated for the construction works. The people living in the affected areas even saw the workers killing livestock and pets from the Basotho communities for food. ‘The only things with four legs the Chinese do not eat are tables and chairs’, like our tour guide Elias would have said. The case of Northeastern Lesotho does not stand on its own; Chinese interference is on the rise almost everywhere in Africa, and it does not stick to brand-new road projects; along these roads you can find countless billboards with advertisements for Chinese-branded smartphones, laptops, cars and much more. Every major village has its affiliate of the Bank of China, often even decorated with Chinese characters. More and more mining companies are bought by Chinese investors. It seems like the Chinese can do whatever they want if they pay the national governments enough money. In fact, a lot of African countries are experiencing an increasingly high investing rate from China. From Guinee to Ethiopia, and from Algeria to Lesotho, the Chinese do not only provide development aid, but they are also interested in enlarging their cultural and economic sphere of influence on the African continent while getting the benefits of cheap natural resources. One may indeed conclude that it seems like China is getting its share of colonialism these days. The new road is still predominantly used by traditional traffic, like these farmers with their lifestock. Source: own work. All this may seem to be unfair, but are we as Westerners in the position to blame the Chinese for that? Not even a century ago our British neighbours did the same, when Lesotho fell under the British sphere of influence and was abused as an economic profit-province under the guise of protection. History is repeating itself, but now the Chinese are ahead; the moral crusaders of the West set conditions on, for example, human rights protection for economic aid while the Chinese seem not to care so much about such issues. Aren’t we, as the West, offsiding ourselves in helping Africa to develop its economic potentials? The loti (plural: maloti) is the currency of the Kingdom of Lesotho. It is on par with the South African Rand.